Cookie Monster said, “Sometimes me think, ‘What is love?’ And then me think, ‘Love is what last chocolate cookie is for.’ Me give up the last chocolate cookie for you.” Eat’n Park’s Team Smiley gave up the last of our Smiley Cookies to a few hundred children and families, last Saturday at the Carnegie Science Center. The Science Center hosted Smiley’s 26th birthday bash, where visitors found much more than just cookies! 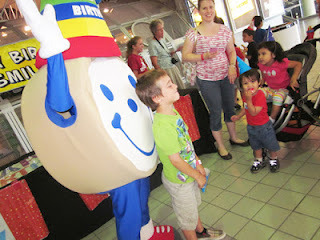 As children and their families enjoyed exhibits the museum had to offer, they were invited to invent their very own style of Smiley cookie at our cookie decorating station. Birthday hats, card signing and stickers were a must as we celebrated in style with Smiley. After going through many bags of icing and 60 dozen blank and decorated Smiley Cookies, we all paid a tribute to Smiley by singing happy birthday and indulging in quite a tasty birthday cake for his 26 years of smiles. 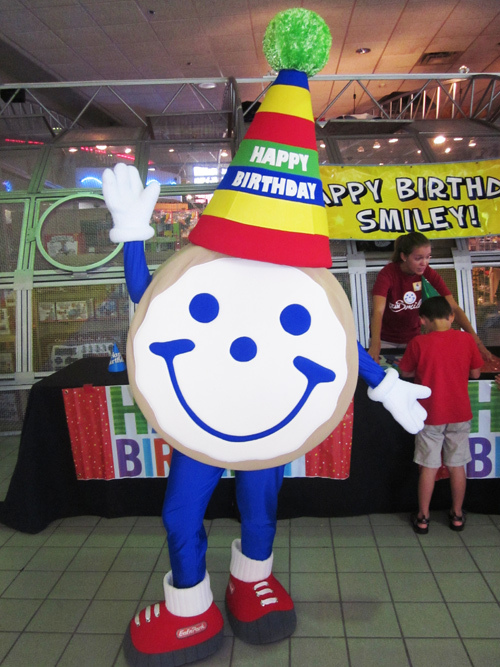 Smiley’s party was a blast – Team Smiley was glad to have celebrated in a special place with such special people!